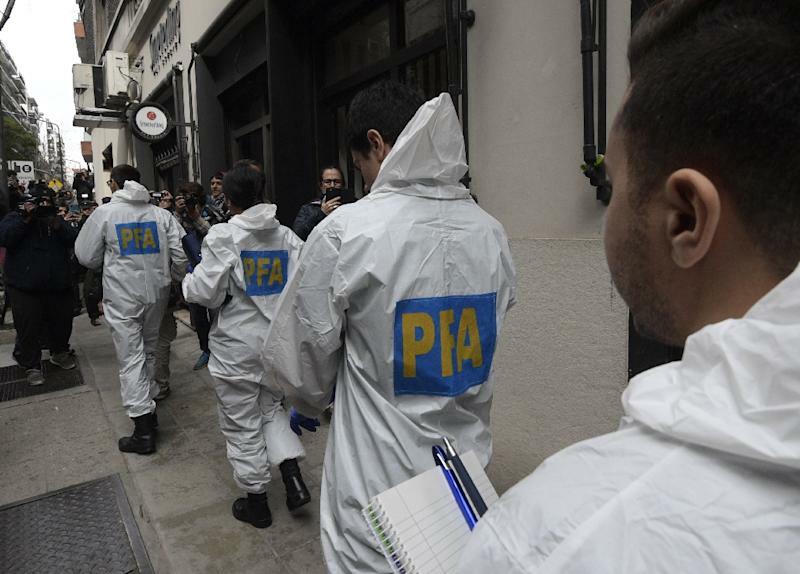 Buenos Aires (AFP) - Bomb disposal experts, police dogs and firefighters were on hand as Argentine police investigating the so-called notebooks corruption case began searching the homes of former president Cristina Kirchner on Thursday. The move came after judge Claudio Bonadio successfully petitioned the Senate on Wednesday to partially lift Kirchner's parliamentary immunity so her three residences could be searched for evidence of multi-million dollar bribes paid by businessmen in exchange for public works contracts during her administration. On Wednesday, Kirchner denounced in a fiery and defiant speech to the chamber what she called "political persecution" but the 65-year-old, like all the other 66 senators present, approved the petition. She had told lawmakers in a letter that she was willing to allow searches of her homes in Buenos Aires, Santa Cruz and El Calafate on condition that they did not allow the searches to be filmed or photographed. Around 20 police officers entered Kirchner's Buenos Aires residence in the exclusive Recoleta neighborhood just after midday (1500 GMT), although local media said the searches of her other two homes were yet to begin. Kirchner was not present at her fifth-floor apartment measuring around 250 square meters, having spent Wednesday night at her daughter Florencia's home, her lawyer Gregorio Dalbon said. More than a dozen elite businessmen and former government officials were arrested after La Nacion newspaper reported on August 1 that millions in bribes were delivered by a ministerial chauffeur to Kirchner's residences, both during her presidency and that of her late husband Nestor. The driver's meticulous records of the alleged cash deliveries form the basis of Bonadio's investigation. Prosecutor Carlos Stornelli has said a total of $160 million in bribes was handed over during a 10-year period from 2005-15. Earlier this month, Amado Boudou, a former vice-president under Kirchner, was sentenced to almost six years in prison after he was found guilty of "passive bribery" and conduct "incompatible" with his duties as a public servant. Kirchner is being investigated in five other cases, ranging from alleged foreign exchange manipulation to the signing of a memorandum with Tehran that Bonadio argues effectively protected Iranian suspects in the deadly 1994 bombing of Argentine Jewish centers.